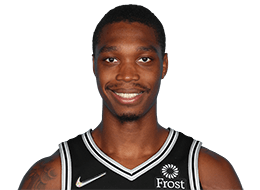 Lonnie Walker IV goes down in the 4th quarter against the Milwaukee Bucks during the Summer League with a possible ankle injury. Grayson Allen scores 11 points and grabs 8 rebounds to help the Jazz get the win over the Spurs, 92-76. With Kawhi Leonard wanting out of San Antonio, what's next for the Spurs?